Cotton Candy Soda: A sweet, fruity drink that’s like liquid cotton candy! Like a carbonated carnival, Cotton Candy Soda captures the fruity sweetness of the spun sugar treat in a delicious bottled soda. 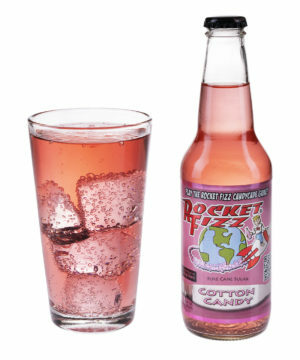 With its light strawberry flavoring, pure cane sugar, and fizzy delightfulness, this soda pop reminds your tongue of the melt-in-your-mouth airiness of cotton candy in a form you can consume anytime. This gotta-try-it-soda is great on its own, but it also pairs well with snacks, desserts, and Ferris wheels.